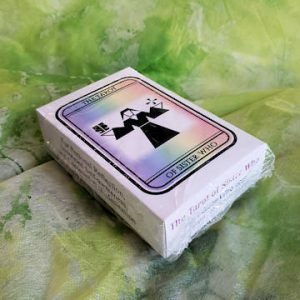 “Why roses?” you might ask. I could talk about their near-universal symbolism or ruminate on how artificial modern hybrid roses are; genetically-altered mutants bred for human pleasure regardless of the impact on Mother Nature. The symbolism that flowers die, set seed (unless sterile) and are born anew next Spring. How some of these images do contain both new buds and dead blooms. The truth is that I did not select roses so much as they chose me. 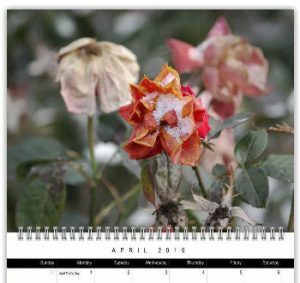 I was at the Whetstone Park of Roses just to take a few images to ‘close the file’ on the 2010 season when I knew that I had to do this volume. The 2019 Wall Calendar features a selection of photographs taken on December 1st 2010; World Aids Day. They are some of the 60 images included in the book. The list price is US$24.99; currently available for $19.99. I donate 90% of my Artist’s Royalty to HIV/AIDS research organizations in the USA and Canada. 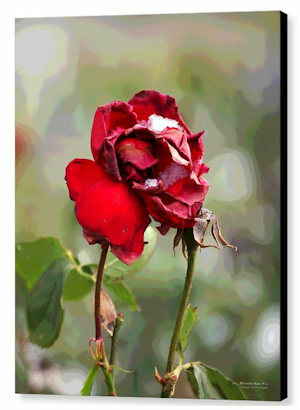 Fine art prints of three December Rose images raise funds for HIV/AIDS research organizations in the USA and Canada. Each image is available on canvas, acrylic, metal, wood and fine art papers. Prints start at US$41, depending on size and material. 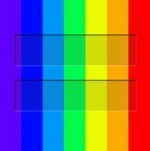 90% of my Artist’s Royalty is donated to HIV/AIDS research organizations in the USA and Canada. 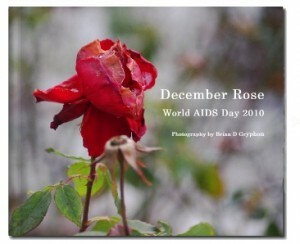 “December Rose” contains 60 images from the Whetstone Park of Roses taken on 12/01/10 (World Aids Day). The book is available at Blurb. Printed on Premium paper, available as a paperback or with a premium ‘imagewrap‘ hard cover. 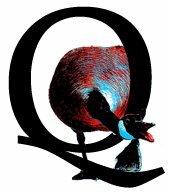 I donate $20 (approximately 90% of my royalty**) from the sale of each copy to HIV/AIDS research organizations in the USA and Canada. ** Who gets how much?